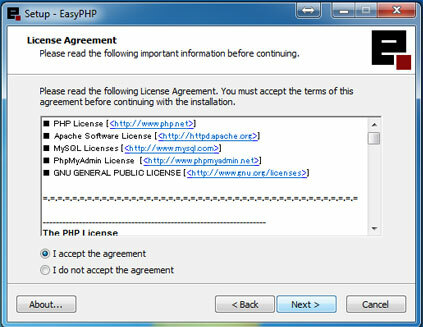 In this article we will see how to install the package of Apache server, php and mysql database, called EasyPHP on windows. Hi guys, in this article I’ll show you how to install and configure one of the best and most used PHP servers in the world. We’re talking about EasyPHP. 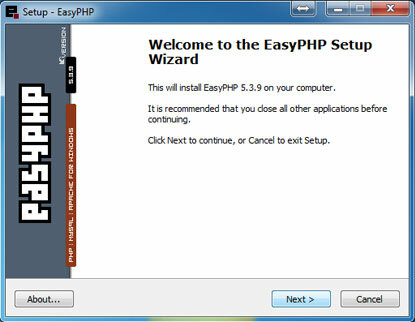 Is very easy to install and use EasyPHP, with this program you will have everything that you need to start to study this great language of web development. The program contains Apache PHP server and MySQL Database. As you probably know, EasyPHP isn’t the unique PHP Server, we have too WAMP, XAMP, or if you want you can install manually apache, mysql and php. 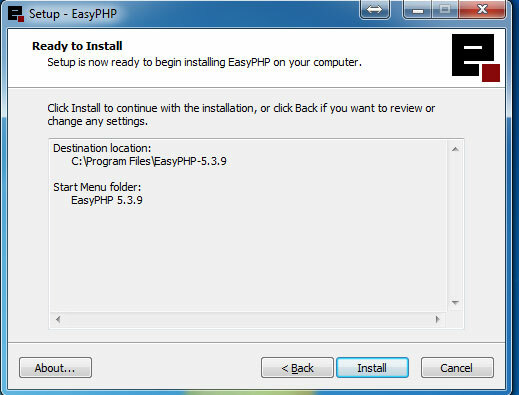 The intention of this article is teach you to install easyphp in your computer. Let’s open the archive with double click at him, will show to us the forward image, just click next. After this we will click in next to choose where we will install our program. After defined the folder, we can define the name folder where the program will be installed, in our example we will keep the custom name, but you can change what you want. Now we need check if is everything ok and confirm the installation by clicking in Install button, now the installation of our server will start. If everything’s gone alright, the next image will show. 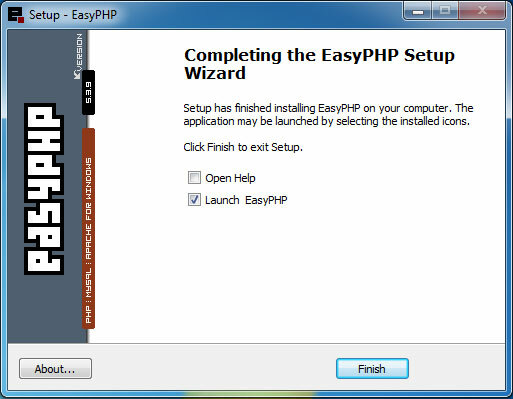 We will keep checked the “Launch EasyPHP” to execute and start our server, just click in finish button. Now we will open our easyphp to see if our services are working. 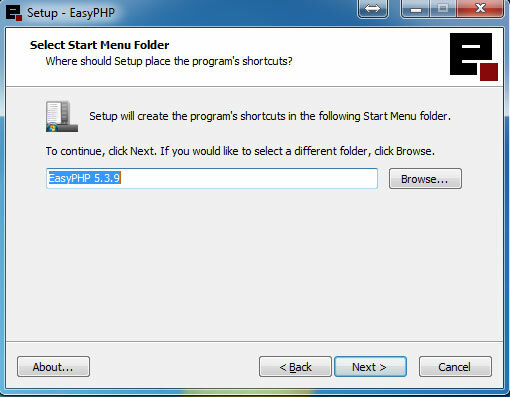 Make a double click in the tray icon of easyphp. 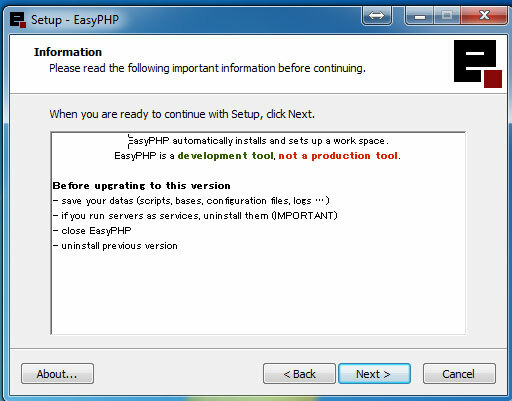 After open the easyphp, if our servers are running, they will show just like in figure 9. Now, every archive .php you will need to save in this folder: C:\Program Files\EasyPHP-5.3.9\www. To see your systems working, you need write localhost or 127.0.0.1 in your browser. 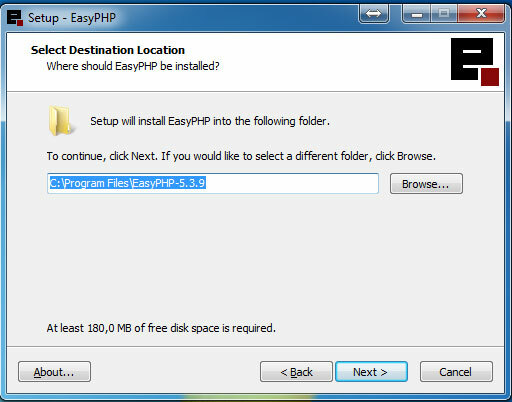 I hope you liked the article and learned how to install the EasyPHP. See you next time. 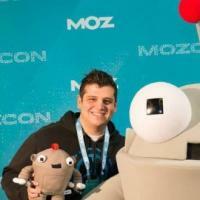 Ricardo Arrigoni - Front-end Developer.